FACEASiT is an exciting pedagogical application for designing Dien Chan multireflexology treatments. It’s an excellent way to relieve pain and treat common complaints and avoid abuse of medication. FACEASiT offers natural solutions in facial reflexology and body massage. not a catalogue of complaints! FACEASiT allows you to design treatments on the basis of the affected body part. When you visit a health practitioner, you start by stating your problem and listing your symptoms. The therapist then uses their knowledge to interpret this information. FACEASiT doesn’t claim to be a therapist; its purpose is to help you start taking charge of your health and avoid excess medication for treating common complaints. FACEASiT is not a doctor, nor is it intended to replace one. It is not a substitute for a hospital visit, and you should always consult a professional in the event of a serious complaint. FACEASiT offers solutions using Dien Chan, the original facial reflexology method. Dien Chan quickly restores the balance of the body’s energy flow thanks to precise stimulations of points of the face, complemented by yin or yang massages on the body. Dien Chan has more than 20 projection diagrams showing reflex areas on the face and a map of 257 set points. The theory of Dien Chan combines the diagrams and complements them with the effects and indications of each of the set points on the face. Its fast, lasting results are due to the joint stimulation of blood and lymph microcirculation. Facial treatments based on the reflexology areas serve to raise levels of dopamine in the brain and direct our energy (Qi) to the affected body part. FACEASiT contains all the knowledge represented by Dien Chan; it is not a simplified version. At the International School of Multireflexology - Dien Chan, we consider that power lies not in the information but in the ability to combine knowledge. We know that all of our patients, users and students have the necessary faculties to understand and to create multireflexology treatments. It is for this reason and to promote Dien Chan that we have designed FACEASiT, an interactive pedagogical tool that is suitable both for the layperson and for health practitioners. Dien Chan is the original facial reflexology method developed by Professor Dr Bùi Quôc Châu of the Vietydao Center in Saigon, Vietnam, to mobilize our capacity for self-regulation. It is not a medicine; it is a technique used to interpret a broad body of knowledge of other therapies. In the case of a broken bone or displaced fracture, it serves to relieve the pain until the patient can see a doctor. In the event of serious illness, Dien Chan helps to make the treatment more bearable and relieve its side effects. It is called multireflexology because each treatment combines various areas and points on the different Dien Chan diagrams. Most reflexology techniques use a single diagram of the sole of the foot, for foot reflexology, of the palms of the hands for palm reflexology, of the fingers for Su-Jok and of the ears for the various methods of auricular reflexology. 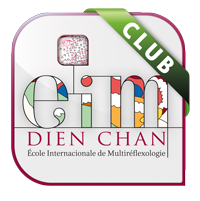 For all the information about Dien Chan, visit the official website: www.multireflexology.com. FACEASiT is not a facial therapist, either; it is an interactive tool that offers all the knowledge represented by Dien Chan. It is not a catalogue of complaints; it is a complex calculator of simple treatments. Choose the affected body part, select a symptom and get a treatment proposal, pointers and a list of recommended tools. More explanations on the Self-treatment page. The tools proposed for each treatment are elegant and functional for simple topical use. 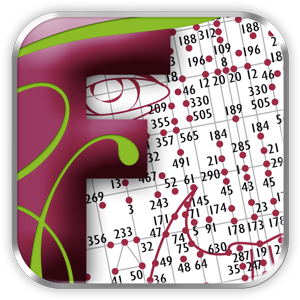 Each tool has a complete fact file and can be purchased directly through the application. FACEASiT is a natural, intuitive application with no contraindications or side effects. There are 3 versions adapted to every need. For example, the proposed treatment solutions can be modified in the FACEASiT’clinic version. We always invite our students to continue studying both Dien Chan and other techniques and medicines to extend their sphere of action and combine their knowledge with multireflexology. FACEASiT is not a course but it allows you to study the technique, all the diagrams and points on the face, and the stimulation techniques using the multireflexology tools. With the FACEASiT’pro version, you can study all the projection diagrams interactively with detailed informative files. By studying all the points on the Dien Chan map, you’ll become familiar with the treatment formulas. You’ll find all the details on this website, in the section on Studying the method. • Read about the meaning of FACEASiT on the Help page.